Ford Freestyle Launch Tomorrow; Watch Out Swift, WRV & Nexon. 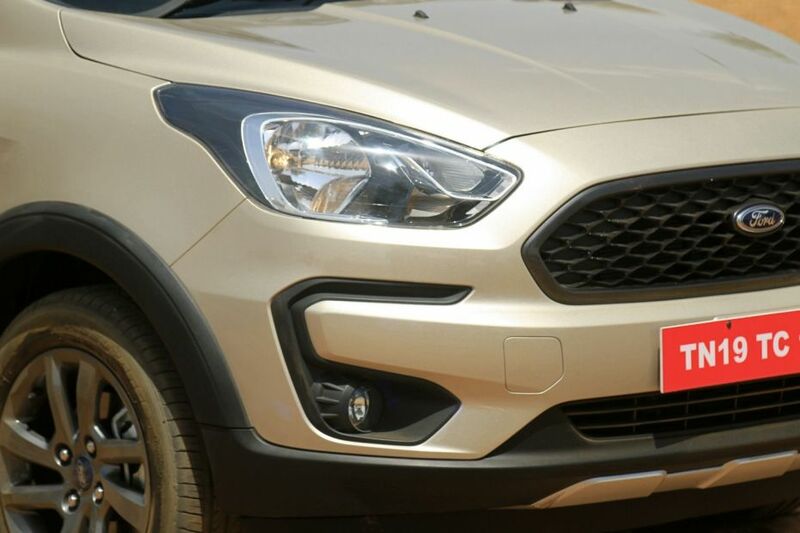 Ford is all set to launch its first cross-hatch in India, the Freestyle, on April 26, 2018. Bookings for the same are already underway for a token amount of Rs 11,000. The beefed-up Figo is likely to cost Rs 60,000 more over the respective variants of the current Figo, which starts at Rs 5.47 lakh (ex-showroom Delhi). If priced in the range of Rs 6-10 lakh, it will go up against cars from various segments such as the Hyundai i20 Active, Honda WRV, Toyota Etios Cross and even the Maruti Swift and Tata Nexon. Based on the upcoming Figo facelift, the Ford Freestyle manages to look a bit different, if not completely, from its cousin, at least on the outside. 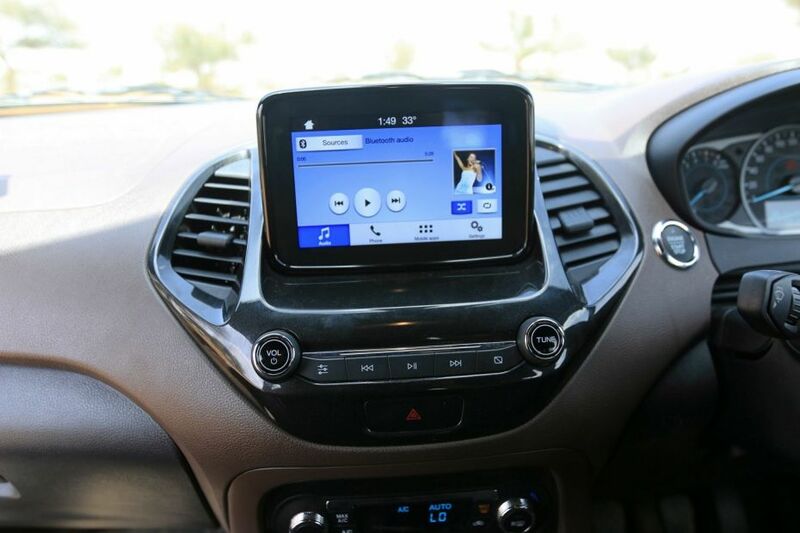 Barring the floating SYNC 3 touchscreen infotainment system, the interiors are also mostly similar to the Figo facelift. That’s good on the quality front, but is a big letdown when it comes to cabin feel and practicality (has no bottle holders at rear, no rear split seats). 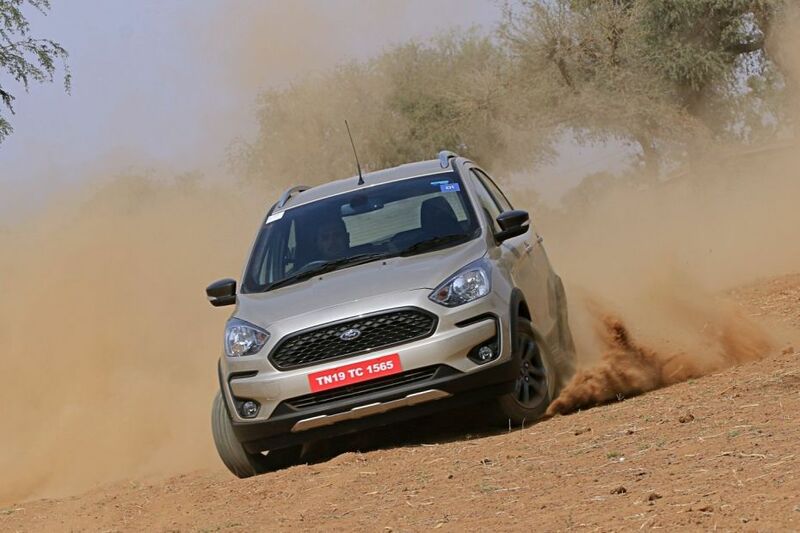 To know more about such downsides of the Freestyle, head over to – Ford Freestyle: 5 Things That Could Have Been Better. Powering the new Ford will be a brand-new 1.2-litre petrol engine from the company’s latest Dragon family. This 3-cylinder engine pumps out a max power of 96PS and max torque of 120Nm, which makes it more powerful and punchier than the 4-cylinder 1.2-litre petrol engine that does duty under the Figo. In fact, it is more fuel efficient as well. Unlike the older engine which returned a claimed mileage of 18.16kmpl, the new motor returns 19kmpl. It can also be had with the same 1.5-litre 100PS/215Nm diesel engine that powers the Figo, Aspire and the EcoSport. This engine is extremely fuel efficient, returning 24.4kmpl. 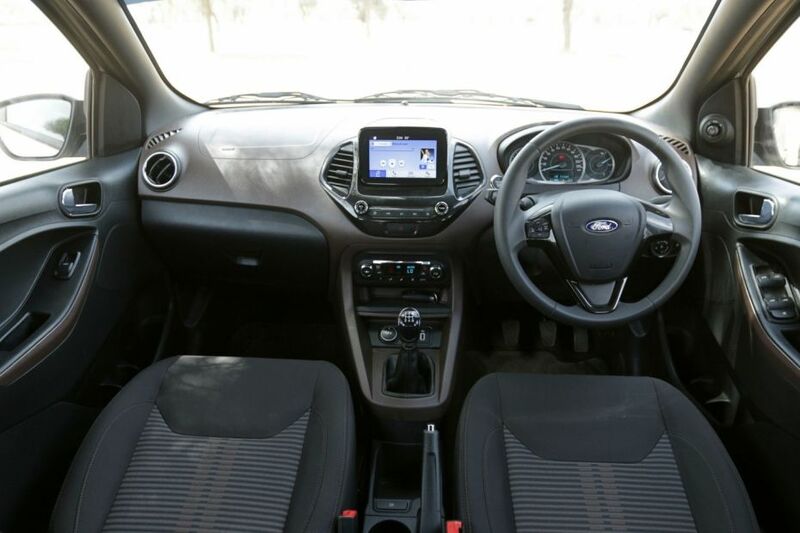 To know how the new engine drives, check out our comprehensive Ford Freestyle Petrol Review. When it comes to features, the Ford Freestyle is loaded to the brim. It gets auto headlamps, rain-sensing wipers, 15-inch alloy wheels, metallic roof rails (can hold weight up to 50kg), auto AC, a 6.5-inch SYNC 3 infotainment unit that supports Apple CarPlay and Android Auto, push-button start and keyless entry. However, it’s the list of safety features in the Freestyle that impresses the most as it comes with six airbags, ABS (Anti-lock Braking System) with EBD (Electronic Brake-Force Distribution), active rollover protection (hill launch assist, electronic stability program and traction control system), rearview camera and emergency assistance. Let’s see at what price point Ford launches the Freestyle tomorrow. What’s your guess? Do let us know in the comments section below.